There are so many reasons you will love living at Allure Condominiums. 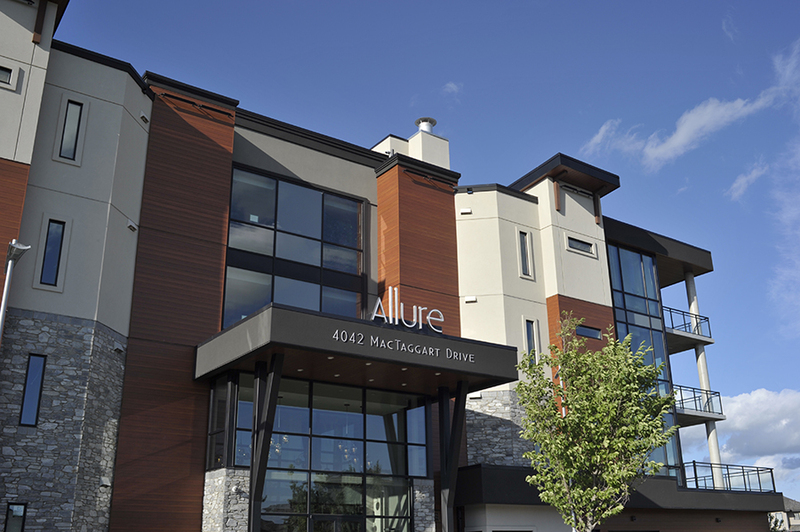 From the appeal of living in prestigious Mactaggart to the lifestyle you will become accustomed to, Allure truly is one-of-a-kind. Allure is designed for you, the driven few who want the most out of life. The building and the suites have been outfitted with careful attention to detail to ensure that your dream lifestyle soon becomes reality. You will be blown away as you enter into a striking 4-storey lobby, complete with marble tiled walls and elegant seating area. The luxury 2 bedroom and 2 bedroom + den suites range from 1,312 – 1,678 square feet and include oversized wrap-around patios with lovely views of the lake. These stunningly large residences will provide the kind of freedom and space you deserve without compromise. Offering unparalleled amenity spaces, Allure is designed to maximize the convenience and enjoyment of condo living. The journey begins on the main floor with the stunning Silver Salon Dining Room, while the second floor Members’ Lounge Game Room holds all the swagger and style of a private Vegas getaway. Precision Athletics Club and Satya Studio on the third floor provide a dedicated fitness space to train the body and mind for all the challenges life brings. On the rooftop, Vista Terrace inspires with stunning views of starlight and sunsets or the perfect place to curl up with a latte on a relaxing Saturday morning. 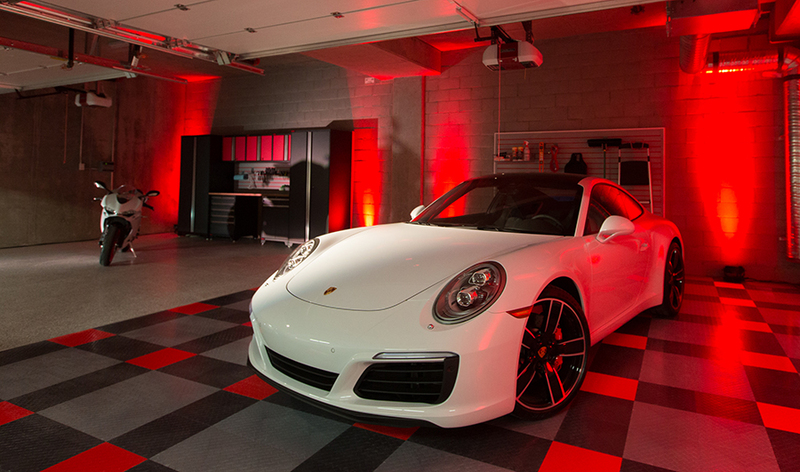 Underneath it all is a one-of-a-kind underground parking garage. Features include two levels, visitor parking on the first and resident parking through a second, vigilantly secured entrance. Allure luxury demands a special place for your treasured vehicles and offers private double, triple, and even quadruple garages. The attention to detail is obvious throughout the suites. The spacious living areas, warmed in the winter by the elegant linear fireplace, and cooled in the summer by suite-controlled central air conditioning, spa-inspired ensuite bathrooms, soaring over-height ceilings, and luxurious finishes like granite, hardwood, and porcelain tile to delight. 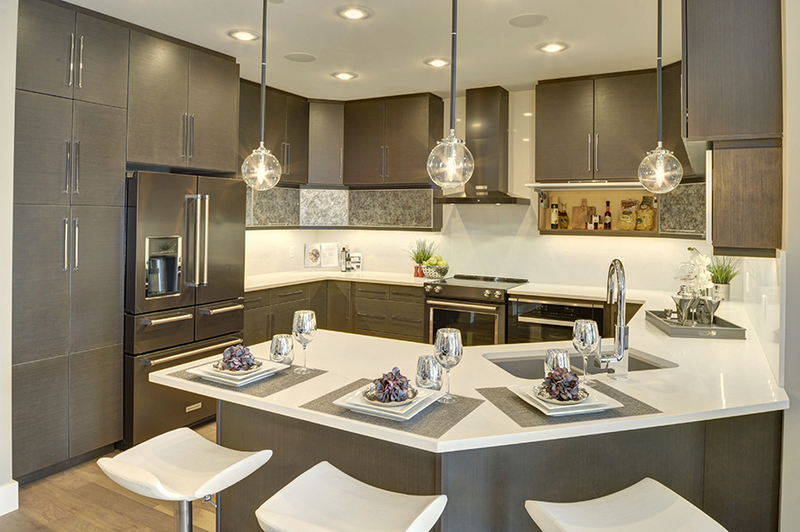 The culinary artist will have a place to thrive with gourmet chef-inspired kitchens. Equipped with state-of-the-art appliances that match the kitchen cabinetry, this is the pinnacle of modern kitchen design. The meticulous attention to detail is more than enough to inspire residents to expand their culinary repertoire. Allure’s central location provides balance for an ever-changing life. Nestled in the prestigious area of Mactaggart, these homes are minutes away from a stunning nature preserve — one of Edmonton’s most wonderful hidden gems — and to fine dining, fabulous shopping and services. There is still limited time left to design your suite, or choose from a selection of well-appointed move-in ready condos. Don’t miss out on the chance to live in this sophisticated and luxurious development, creating an artful community tailored to the most discerning individuals.